The Spanish alphabet phonetic that means that they are pronounced exactly how they are spelt. However each word has a syllable that is accentuated. In Spanish, all words have a tonic accent, that is, a syllable where the intensity of the tone is stronger. In addition, depending on which position is the strong accent will be divided into 3 types: “agudas” (stressed on the last syllable), “llanas” (stressed on the last syllable) and “esdrújulas” (stressed on the third to last syllable). Tania está en Valencia. Ella camina por el Carmen, un barrio muy bonito. Se detiene para tomar algo. Juan: ¡Por supuesto! ¿Quieres algo para beber? Tania: Sí, café, por favor. Tania: Uh… no… Un buñuelo también, por favor. Juan: ¡Muy bien! ¿Eres de aquí? Juan: ¡Oh! ¡Hablas español muy bien! Tania: ¡Gracias! He estado aprendiendo español durante un año. Juan: ¡Muy bien! ¿Dónde estás viviendo? ¿Por el barrio? Tania: ¡Sí! Al lado del ayuntamiento. Juan: Volveré con tu café. Tania is in Valencia. She walks through the Carmen, a very nice neighbourhood. She stops for a drink. Tania: May I sit here? Juan: Of course! Do you want something to drink? Tania: Yes, a coffee, please. Tania: Uh … no … A donut as well, please. Juan: Very well! Are you from here? Juan: Oh! You speak Spanish really well! Tania: Thanks! I have been learning Spanish for a year. Juan: Very good! Where are you living? In the neighbourhood? Tania: Yes! Next to the town hall. Juan: I’ll be right back with your coffee! ¿Eso será todo? ¿Eso es todo? I’m learning Spanish / I have been learning Spanish. Is that all? That is all? En español, todas las palabras tienen un acento tónico, es decir, una sílaba donde la intensidad del tono es más fuerte. Además, dependiendo de en qué posición esté el acento fuerte se dividirán en 3 tipos: agudas, llanas y esdrújulas. I hope these examples of Spanish alphabet phonetic were clear. 1- ¿En qué barrio camina Tania? Tania camina en el barrio del Carmen. 2- ¿Dónde se sienta Tania? Tania se sienta en una terraza. 3- ¿Quiere Tania algo para beber? Sí, Tania quiere un café. 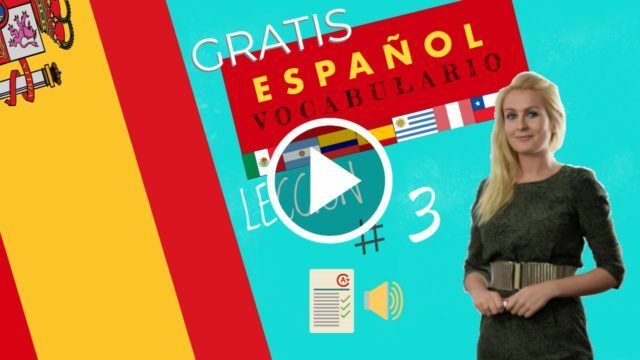 4- ¿Ha estado Tania aprendiendo español? Tania ha estado aprendiendo español durante un año. 5- ¿Dónde está viviendo Tania? Tania está viviendo al lado del ayuntamiento. 6 – ¿Conoces el abecedario en español? Sí. Es A, B, C, D, E, F…. 1- In what neighbourhood is Tania walking? Tania walks in the “Carmen” neighbourhood. 2- Where does Tania sit? Tania sits on a terrace. 3- Does Tania want something to drink? Yes, Tania wants a coffee. 4- Has Tania been learning Spanish? Tania has been learning Spanish for a year. 5- Where is Tania living? Tania is living next to the town hall.